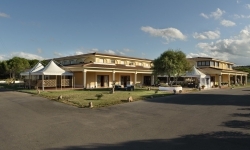 Hotel Petri Marini is situated in the small town of Vignola Mare, in the municipality of Aglientu, in a part of north-eastern Sardinia that is noted for its beaches, its rocks and vegetation. Immersed in a landscaped area, the hotel benefits from an unrivalled location, just 200 metres from the beautiful Vignola beach, making it easy to reach the shore without having to cover long stretches on foot. The hotel is the perfect base for a holiday that will really allow you to relax and recharge your batteries. The hotel is sited in the centre of a 12.5-mile coastline that is rightly renowned for the beauty of its beaches and its untainted nature. Hotel Petri Marini is also the ideal starting point for long strolls or bike rides, on which you will discover unusual “rock churches” and hidden beaches that can only be found by making your way through the dense pine forest. Among the most fascinating places to visit are the beach of Vignola Mare (over which looms the Torre Aragonese or “Aragonese Tower”), the promontory of Monti Russu and the beach of Lu Litarroni. The small inland town of Aglientu is located just 6 miles from Vignola Mare and can easily be reached along the road that meanders its way amid cultivated fields and old pens. Also nearby are some of the largest summer resorts in northern Sardinia: Isola Rossa and Castelsardo to the west, and Santa Teresa di Gallura and Palau to the east, which afford easy access to the spectacular islands of the archipelago of La Maddalena. For your comfort and relaxation, Hotel Petri Marini offers generously proportioned, light-filled rooms that have been elegantly decorated in typical Sardinian style. They come complete with air conditioning, a mini-bar, satellite TV, a telephone, a private en suite bathroom and a hairdryer. The hotel also offers a large, free car park, a restaurant, a pizzeria and a lounge bar with a relaxation area. Check-in: 3pm – 11pm - Languages spoken: Italian, English, French. A buffet breakfast, complete with hot drinks, fruit juices and croissants, is available from 7.30am to 10am, in a large, light-filled space, located on the 1st floor (US readers: 2nd floor). Please note: there is no lift available. DISTANCE FROM THE SEA: 200 metres from the beautiful beach of Vignola Mare. PETS: pets are allowed only in those rooms that have their own terrace (charge applies).